Malaga is becoming an increasingly popular tourist destination that is famous for its beaches, nightlife and seafood. When wandering the streets of the city, look out for these cafes from which to grab a great cup of coffee, some churros or even a full meal. L’expérience is a great gastropub located in the square next to the cathedral. The lighting creates a fantastic atmosphere, especially as dusk falls and the cathedral bells chime. They offer some great salads and local tapas here, so expect a range of delicious dishes. The cafe is open all day so customers can drop in at any time for something sweet and a cup of coffee. The cafe has both al fresco and indoor dining options, so choose between having a pick-me-up in the sunshine during the day, experiencing a romantic atmosphere outdoors at night, or enjoying the cafe’s interiors inside. Located close to the Picasso Museum, Café Central is one of the most popular places to get a coffee. Grab your beverage of choice, a cake or some chocolate churros to warm you up during the winter months. If you are hungry, dig into one of their delicious breakfast options or even some of their filling lunches. The restaurant serves mostly seafood, such as the famous deep fried Malaga fish. Vegetarian and vegan food is difficult to find in Spain, so if you’re looking for a vegan restaurant and cafe, Recyclo Bike Café is a great place to check out. 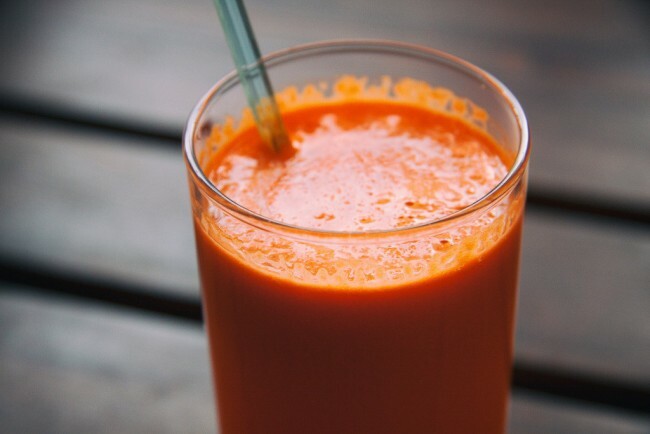 During the day, try out one of their smoothies or a cup of coffee, accompanied by some vegetarian snacks. The evening menu is more extensive with vegetarian burritos and burgers, while the side salads are incredibly diverse in flavor and ingredients. The atmosphere at this health-conscious space is vibrant, lively and youthful. El Jardín is an artsy cafe in the middle of Malaga. Asides from serving up a great cup of coffee and some delicious pastries, the cafe provides traditional Spanish food, from paella to patatas bravas. On the weekends the cafe hosts poetry readings, tango performances and even a live pianist. The restaurant is situated in an old Spanish orange garden belonging to the cathedral so it offers a great view. Head in for a warm beverage, a meal or a glass of wine in order to relax here while watching the silhouette of the cathedral against the night sky. 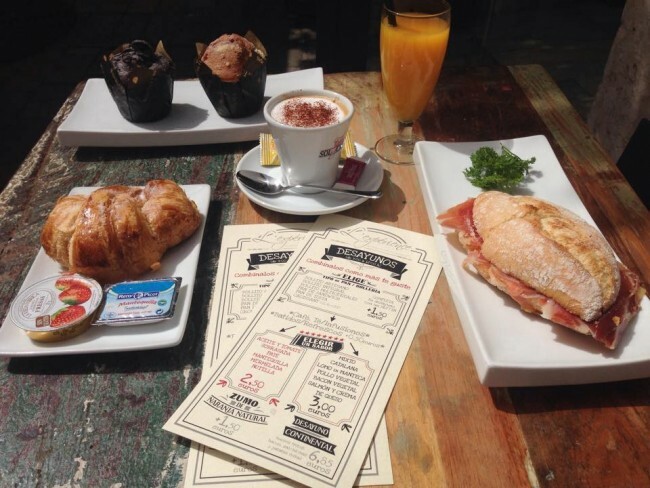 Serving breakfast for over 75 years now, Casa Aranda is the place to go to in Malaga. The cafe is famous for its churros, deep-fried sweet bread and traditional Spanish delicacies. Try ordering the churros covered in sugar or with chocolate. 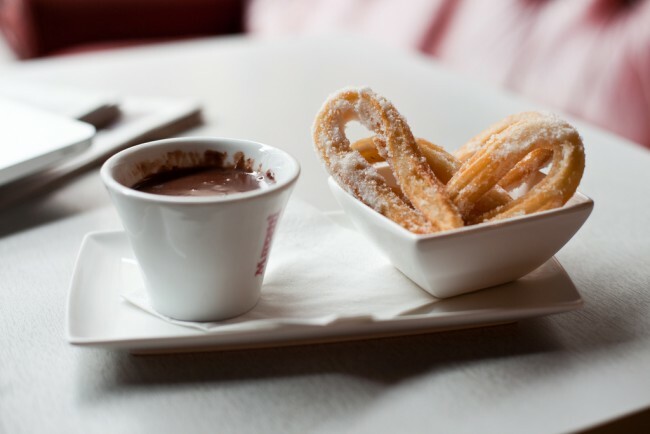 If you do go for the churros con chocolate, expect a large cup of rich hot chocolate to dip your churros in. There’s usually a queue as this place, as it’s incredibly popular, so make sure to arrive early enough to grab a seat.